At boat side, is a unique and luxurious boat slowly halted, a man commanding the boat, standing at prow of a boat while his hands at his back, looks stubborn and arrogant, wearing a navy blue robe, that flying in the wind, with full ten of domineering attitude. In this person behind, for his safety, are personal Imperial bodyguard that both standing, and saw Dongfang Ze, in one’s eyes, they on guard. Su Li sitting there, just feel the brain is buzzing, already could not hear what they were saying, blood is rushing straight to the head! She will never forget, the owner of this voice — Dongfang Zhou! In just a few hours, make her life upside down, straight fall on purgatory, not to have joy in life, until she die! If the accident did not happened that day, she must still be his princess, and he is the man that she’s holding the arm in the tour, and it will not be with Dongfang Ze …..he should be his extremely loving husband, but now turned into her most hated man! How ridiculous it all? Her body, could not help but shiver, the fingertips of her small hand is cold, hold tightly by big, gentle and soft hands, warmth quickly passed to heart. Su Li looked up, a handsome and exquisite face of Dongfang Ze , spring shine in the sky, more attractive and engaging. She accidentally display her weakness, he can not help but the hearts move, softly said: “Susu, you just now not feeling well, follow Ben Wang to the boat to rest for a moment.” when he finished, she got help, caring tone, but it has no doubt of dignified. This face is exactly the same as Lisu, if Dongfang Zhou seen, what is his reaction? This secret, that very day she does not tell to Dongfang Ze, after getting on board he can possibly sense this matter that she conceal, she do not know how to think……the past, after all it will come! Su Li’s eyes looking down to hold back all emotions to hide, any thoughts crest on heart, hatred to the sky, she was cold shoulder without saying a word, quietly followed the Dongfang Ze behind, step by step, she onto the boat. Large hull, richly ornamented, magnificent hall and decorated cabin, extravagant, Dongfang Zhou sat to master position, slowly head down for tea. “Gee, speaking of pleasure, really, few can match Second Huangxiong; I as Sixth younger brother not ah!” Dongfang Ze looked around the hall decorations, audible praise it. Just listening these words in Dongfang Zhou’s ears, why he felt with little sarcasm. Dongfang Zhou snorted, Dongfang Ze indifferently looked behind the woman, she stood there quietly, head down, the left cheek was covered by a wisp of black hair, sometimes see the face. Fresh and pure white dress, in the spring sunshine, shine like a water, whole body emitting a faint light, just like a clear lotus, attractive with an indescribable smell. His mind was actually a slight swing, only a delicate figure, can ordinary man to admire, those lovable face never before lifted, how can possibly overturn the country by a woman?! Word ‘Susu’, while Dongfang Zhou holding the small tea cup, suddenly pause, the soul is not yet back, in front of this face, lucid and elegant was vanished, in an instant his heart severely hit, breathing seems to stagnate, even the fingertips, can no longer move for a half minutes. “You! You are ……” His eyes set off a storm, face expression that startled and could not believe. How could she?! Exquisite bowl fell to the ground, issued crisp sound, poured the tea, he seems like not yet awake. Could not help to walked towards to Su Li. Such person at first sight is peerless face, how many people are with similar face in this world? No! Not similar, that brow, that eyes….. those temperament that is charm,,,,, is exactly the same with the woman in his memory! Lisu?! How can Huangxiong recognized Su Li as Li Su? Dongfang Ze slightly hesitated, suddenly eyes emit light, carefully looked at, in heart doubts have arisen. Both shoulders are hurts by pinch, Su Li brows wrinkled, but no action. He was hoping she’s dead? However, Dongfang Zhou expression, actually somewhat excited, looks complicated and difficult to distinguish, there are fleeting regret, instant hate has been replaced. And this hate being, but it seems mixed with …..unspeakable joy? She deliberately kept a distance from him, afraid of losing to control herself, and rushed to kill! Not to mention that she did not have that ability now to kill him, if she was really dead, she injustice, in this lifetime being afraid forever cannot clear it! Clearly the facts that have occurred, this sentence is seem remember fiercely hot like a whip, Dongfang Zhou heart severely pumping, he stared at the hand froze in mid-air, gradually gasp for breath, gloomy face was terrifying. Slowly, step by step approach; until she is no turning back, the body hit the cabin wall. “Distortion” that word; is like an ice needle in her heart, Su Li has stifle; deep and strong resentment rapidly rush on her heart; however, she is still trying to smile at him:“This young woman did not dare! Royal Highness, you really got the wrong person, I am not Princess Ming Yu !” to be able, she did not even look at him. Distinguished look, the tone has gradually cold. “Ah” sound exclaimed, suddenly came from inside the cabin. Su Li complexion startled, ‘Li Yao? !’, almost blurted out the name, and was quickly drowned in the depths of her throat. The girl in front of her…….is her half-sister Li Yao! Unexpectedly, she was formerly her close friend, meet again, actually aboard with Dongfang Zhou! It seems that day, father is not casually say, they …… really together yet? Noooo this is too good. I’m like checking your page everyday to see any update. I’m so excited to see how su le will handle the situation. Ahhh can’t wait. I don’t know which direction this story is moving to, but I really really hate Dongfang Zhou. But since the title is “The Rebirth of the Deceased Consort that Astounded the World”, therefore Dongfang Zhou and Li Su/Suli might end up back together 😵😵😵😡😡. But I would like Dongfang Ze and Li Su/Suli to be together personally. Lovely. Does “apricot eyes” refer to their color? Like a light, sandy brown? just one little advice… use editor. lots of your translation is not flowing properly in english and in few parts i was wondering if i was reading MTL. I’m with you on this. The girl is too suspicious. Wow…..this is such a sad encounter with her ex and her sister…. Will this story have a sad or happy ending? Thank you for the update. Has been a while. Hope that you are well. Can’t wait to read more. What was the Princess sister doing there, with her ex brother in law? Looks suspicious. Dude! What are you doing with your sister’s ex?! You think siblings would be close and angry if something happened to the other. I really hope that Donfang Ze and Lisu\Su Li end up together. 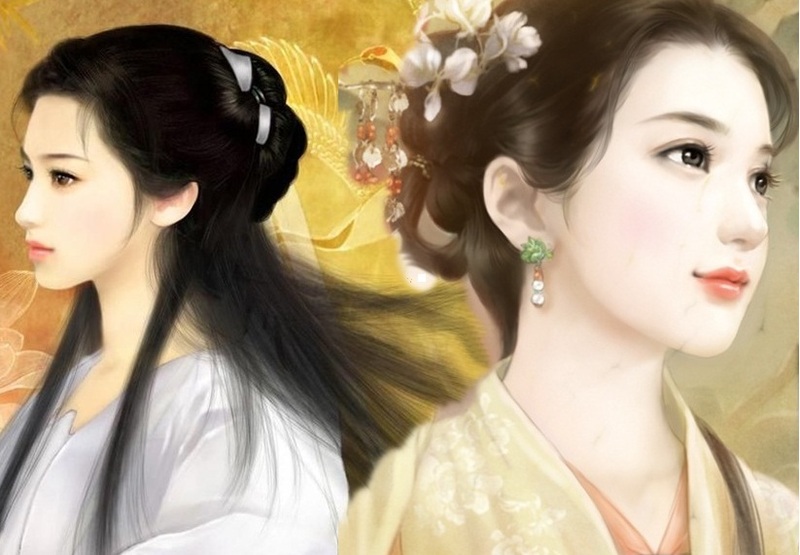 And i think that it was Li Yao and her mother ( a cuncubine obliviouse ) that planed against her and ceaused all what happend . I believe it was Lisu/Su Li ‘ s halfsister and her mother ( that is obliviouse a cuncobine ) That plotter against her and ceaused all what happend to her . and now she will or wants to get engaged to Dongfang Zhou. God I already hate her guts !!! Als i really hope that Dongfang Ze and Lisu/Su li will end up together ! P’s : i really like it that you translate the chapters whole instead of doing summaries , I don’t really like sumamries ceause they are to short and well they are summaries instead of chapters . So please continue to work like that translating chapters ! you make a Lot of poeple happy !! P’s when Will the next chapter be updated ? please hurry ! Li Yao is innocent and dearly loved and misses Li Su (unless the author is playing a long game and ends up being the evil mastermind at the end) and is a bit of a naive pawn in the palace game rather than a player. Susu gets more men after her but the main two are Zhou and Ze, and it looks more like Ze than Zhou. I think she just hates Zhou just too much and Ze keeps putting the moves on her and helping her with her problems (past and present) though it seems Zhou genuinely regrets his actions with Li Su, and the circumstances surrounding her death. I have read up to a certain point with the raws -I use the term read loosely considering it is a mix of machine translation and guesswork- but it currently stand with Ze in the lead, with some people trailing behind and Zhou is somewhere. Due to certain events I do not think Susu really hates him anymore but she will never consider him unless something drastic happens, and yes she does torture him about his actions. I started pitying him a bit -not too much- and actually started hoping he gets a fairly decent ending or a least not dead, suicidal or murderous which seems to be the general theme for this genre’s non successful male leads, as long as he does not end up with Susu. Ze – Chapter 67 quite literally a steamy scene followed by some moving scenes. there are of course more chapters but I need to reread to find more and further to be confident about knowing the contents. Spoilers are not too major and I tried to keep it a minimum. One thing I also want to not is people using the novel title to put Zhou and Susu together…. No. The MC, a dead fiancee/consort/wife has been reborn and is already starting to amaze/astound people, and will continue to do so. The title for me is pretty straight forward and not really an indication of romance potential, though maybe a good indication about the later status of the dead Li Su thanks to the living Su Li *potential spoiler if I am remembering correctly*. Please tell me that Dongfang Ze is the male lead. I don’t want to ship the wrong person. I hate it when my feelings are played lol. Thanks for the hard work. I hope all is well. I have been lurking around without making any really comments, but thank you for your translations.